This month, we are talking about tick disease in dogs. With warmer temperatures, weekend trips, and outdoor hikes, the risk for tick bites will be increasing over the summer months! Read on to see what you should do to protect your dog from tick bites and what to do if you find one on your pooch! Since we live in Chicago, such a large city, how prevalent are tick bites and tick disease? Dr. Marks gets asked very frequently about why our Chicago canines need flea and tick preventatives monthly. She says that while many people think of Chicago as an “urban jungle” without much greenery or opportunity to be bitten by ticks, that’s really not the case! • Since Chicago did not have a deep freeze or snow in January or February in 2017, most ticks were able to survive the winter. • Many dogs travel to Wisconsin, Indiana, Michigan, or other surrounding areas on weekends and can bring tick populations back when they return. • Chicago has ever-changing wildlife, which can also act as hosts for ticks. Cases of tick disease are diagnosed every week at Blum Animal Hospital, so it is crucial to take steps to make sure your pup is safe! The first step in preventing tick disease is making sure that your pup doesn’t get a tick bite, so let’s learn about how and why most tick bites occur. What puts your dog at risk for getting a tick bite? Environmental factors come into play as well! Most tick populations are located in traditional areas like forest preserves, wooded areas, and underbrush. However, ticks can also be found in backyards and city parks from roaming wildlife and from dogs who travel to wooded areas and bring them back. 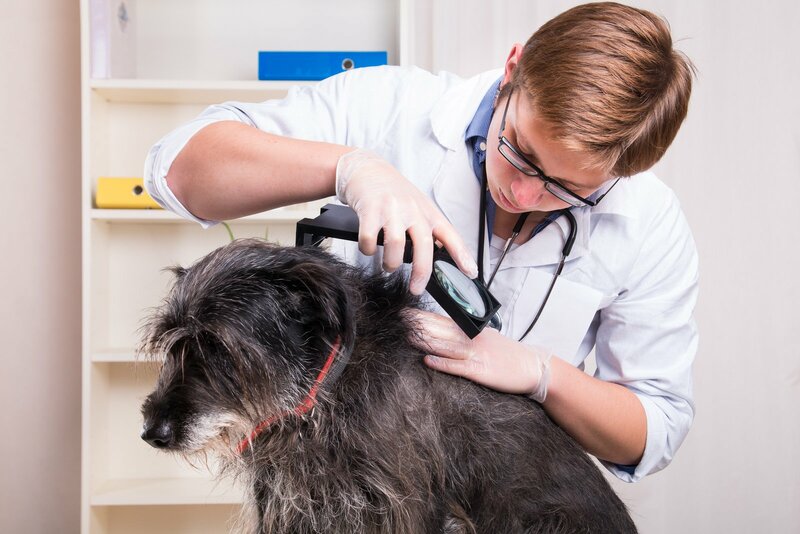 Does a dog’s fur length or breed put them more at risk for tick bites? Dr. Marks says that the answer to this question is somewhat surprising to most pet parents! We might assume that long-haired coats help naturally protect our pups from tick bites and infestation. However, dogs with long-haired coats can have a higher rate of tick disease because it is so much harder to see and find ticks in their fur. Also, since environment is a large factor in tick exposure, certain breed groups who may spend more time in areas where ticks are traditionally found, like hounds, retrievers, and other herding dogs, are at a higher risk of tick bites. Now that we know what can put your dog at risk for getting a tick bite, when and where should you look for ticks on your dog? Examining your dog for ticks is easier in dogs with shorter coats. 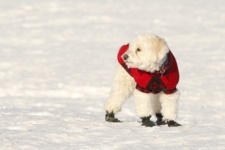 If your dog has a long coat, Dr. Marks recommends using a comb or your fingers to go through the areas mentioned above carefully, feeling for any small bumps from the size of a pin head to pea. So if you examine your dog and find a tick, what should you do? There is a safe way to remove the tick at home, and it should be removed as soon as safely possible! Dr. Marks states that there are many tick removal tools marketed for dogs (ProCollar Tick Twister, TickEase, or Tick Twister Pro to list a few examples), or you can also use a pair of standard tweezers with flat edges. • Place the instrument of your choosing firmly at the base of the tick near the skin. • It is important to note that most tick removal tools have “twist” in their name, but it is not recommended to twist or squeeze the tick. • Pull firmly outward to remove the tick in its entirety, including the head. There may be a small area of irritation at the site of removal, and after cleaning it gently with warm soapy water, you can apply triple antibiotic ointment to the area for a few days. When should you get your veterinarian involved after finding a tick on your dog? After a tick bite, Dr. Marks advises to test dogs within 4 to 6 weeks for any evidence of transmission of tick disease. This is done as a blood test in your veterinary office. A veterinarian should see your dog before that time if you attempted to remove the tick and the head was not removed with the body. You should also bring your dog to the veterinarian if they had exposure to ticks and are exhibiting any of the clinical signs of tick disease. What are the signs and symptoms of tick disease in dogs? According to Dr. Marks, the most common signs of tick disease in dogs include joint pain (typically seen as a shifting leg lameness over 3 to 4 days), lethargy, fatigue, decreased appetite, and fever. With Ehrlichia and Anaplasma, dogs can also show bruising on their gums and abdomen in addition to spontaneous nose bleeds. Dr. Marks asks us to please note that many of these clinical signs are vague and can resemble other diseases, which is one reason tick disease can remain undiagnosed in quite a few canine patients. You may wonder if dogs develop the classic “bulls-eye” rash that is seen in humans with Lyme disease–this is not seen in dogs and should not be relied upon for a diagnosis. What are the treatments for tick disease if your dog is diagnosed? Once tick disease is confirmed and diagnosed in a canine patient by a specific blood test, Dr. Marks says that treatment involves antibiotics (typically Doxycycline) for a specific length of time depending on the type and severity of the tick disease. 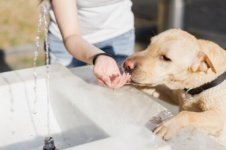 Your veterinarian may also supplement your pup with other supportive treatments, such as anti-inflammatories for pain relief or possibly an antacid or other appetite stimulants to relieve any stomach discomfort. After a dog is treated for tick disease, are there any long-term effects from having it? Dr. Marks states that the majority of Blum Animal Hospital’s tick disease patients are treated successfully! 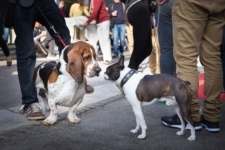 She also emphasizes that while the idea of chronic Lyme disease is somewhat controversial in humans, veterinarians do not have a consensus in dogs. For some dogs who were “not diagnosed early in the disease process, the bacteria transmitted by ticks, specifically in Lyme cases, can cause a very serious inflammation in the filters of the kidneys, which is difficult to manage and typically carries a poor prognosis. This is a rare but known complication in patients with untreated Lyme disease,” according to Dr. Marks. What is the best way to prevent a tick bite for your dog? The best way to prevent a tick bite for your dog is to use an appropriate flea and tick preventative year- round, even if you are a city-dweller! Your veterinarian will be able to discuss your individual dog’s health history, daily environmental risk, and other concerns before recommending the appropriate preventative medication. Dr. Marks advises that there are now oral versions and longer-acting preventatives available with improved tick prevention. A puppy can be started on some products as young as 6 weeks of age, so make sure you start thinking about this early on in your pup’s life! 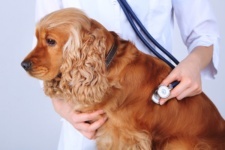 Keep in mind that it is always best to talk to your veterinarian prior to starting any preventative in order to assure that it is the best choice for your pet. 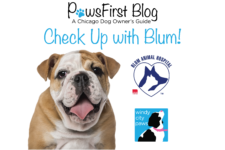 By having a watchful eye and using the right preventative, you can help keep your Windy City pup tick-free this summer! Thank you to Dr. Natalie Marks at Blum Animal Hospital for her insight into tick disease in dogs! We appreciate her hard work in making sure that every Chicago pet has the best life possible!